Friday, december 4th, we are in the marina of Santa Marta Colombia ! Hard to believe it is almost one month since we last updated our blog…We arrived here on monday november 30th after four days of smooth sailing. 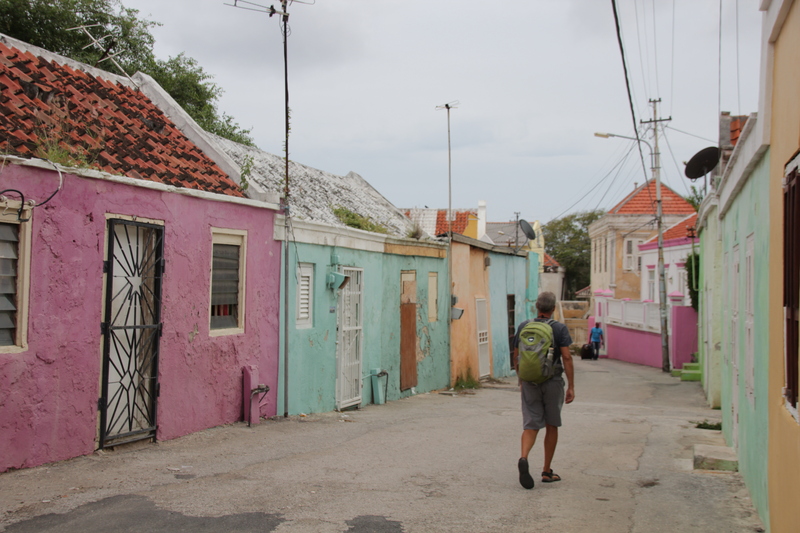 We took the bus on tuesday, November 24th in the morning to Willemstad and checked out of Curacao. 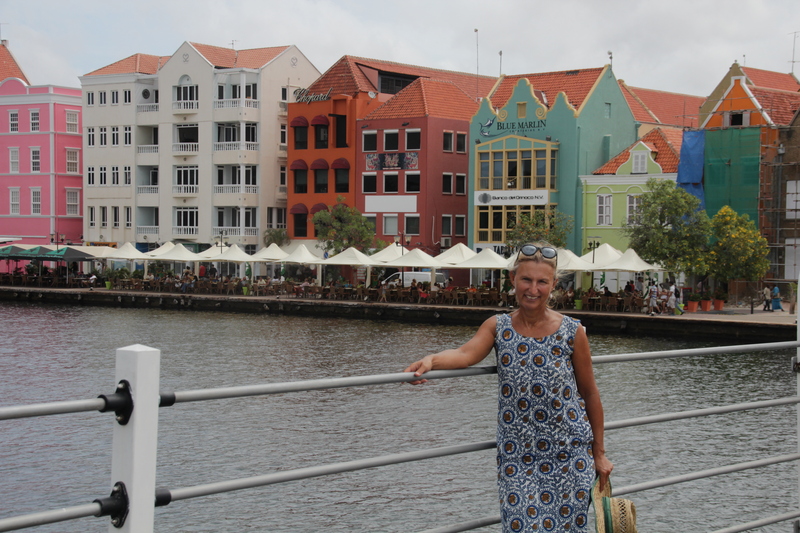 It was definitely time to leave the Spanish Waters and Curacao! Now was a good weather window. Not too much wind ! 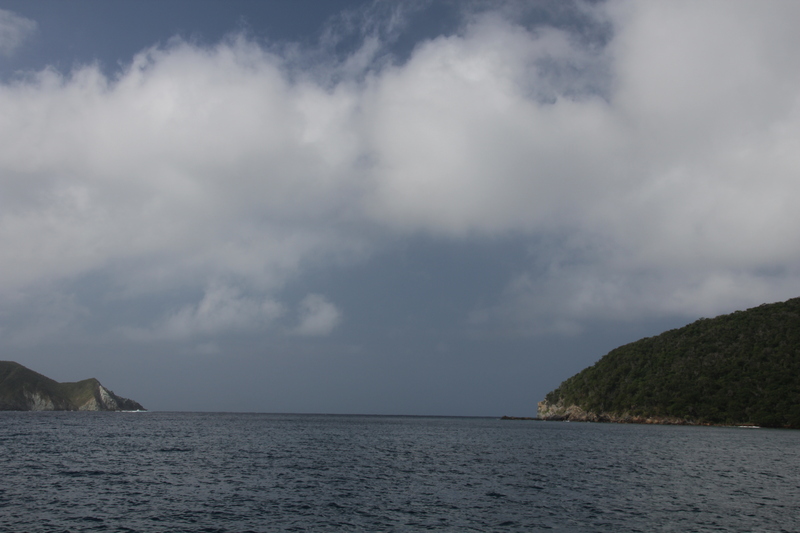 The sailing from Aruba to Santa Marta is known as a difficult passage when there is too much wind. 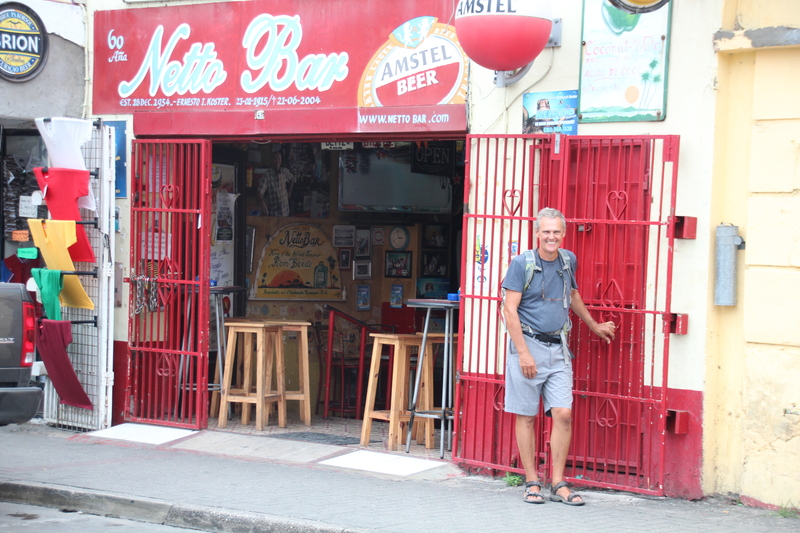 We did some shopping in Willemstad, took some pictures and went for a quick stop at the Netto bar in Otrobanda. 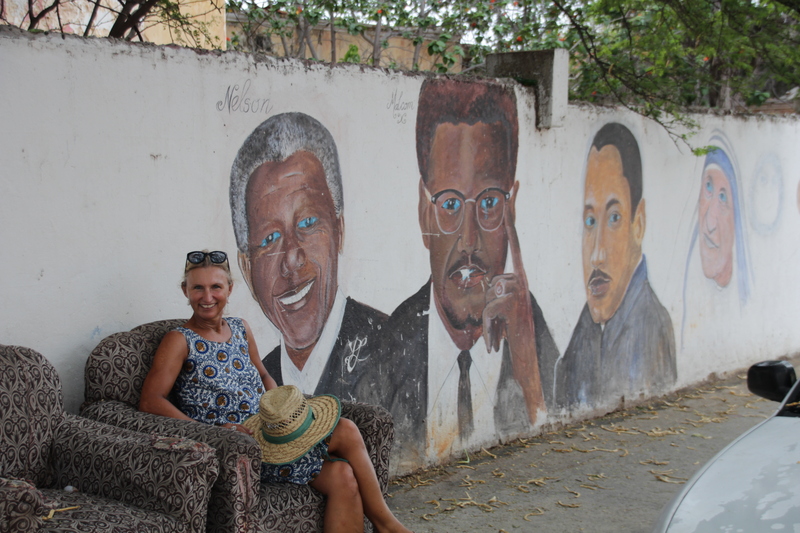 King Willem-Alexander was here in November 2013 with Maxima. 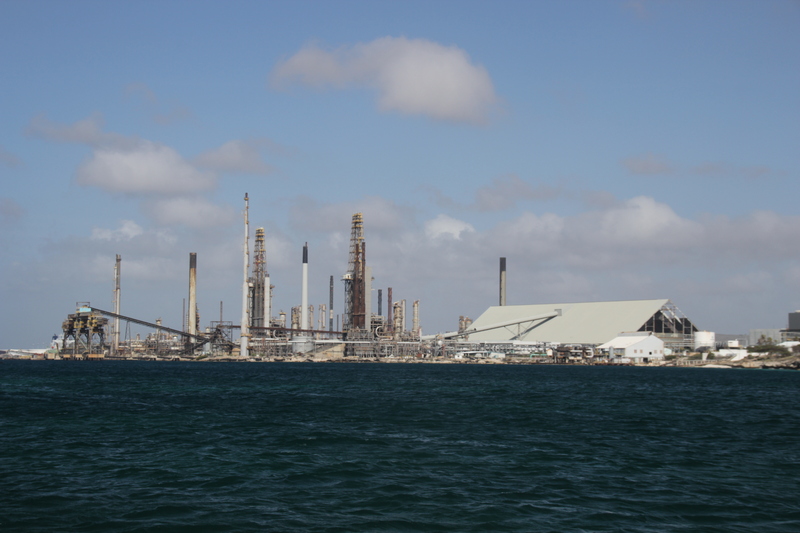 We were back by 4PM, got diesel for the boat and left for Fuik bay just next to Spanish Waters so we could leave early the next morning for Aruba. 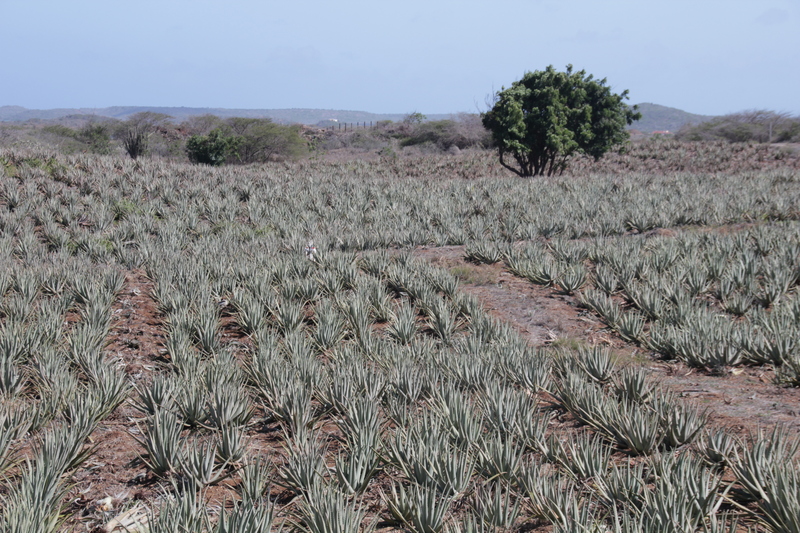 On one of our many bicycle trips we visited an aloe plantation. 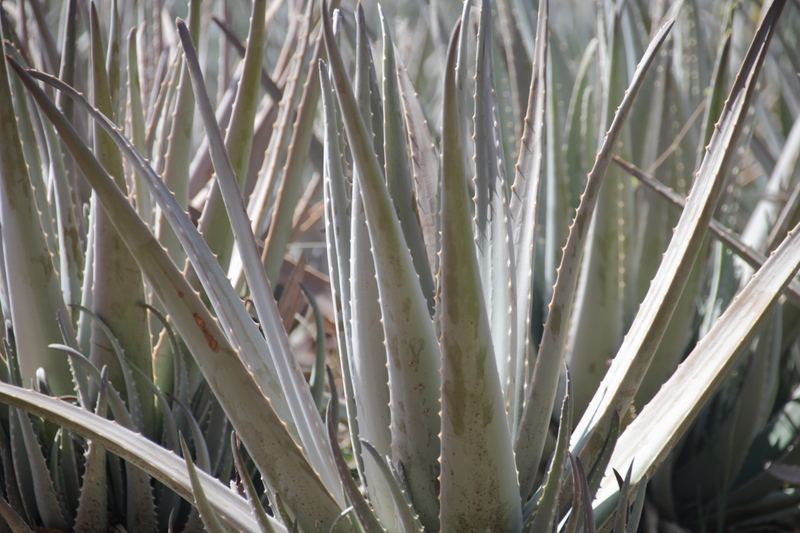 It is incredible how many vitamins in this plant ! At the entrance of the Kura Hulanda museum. 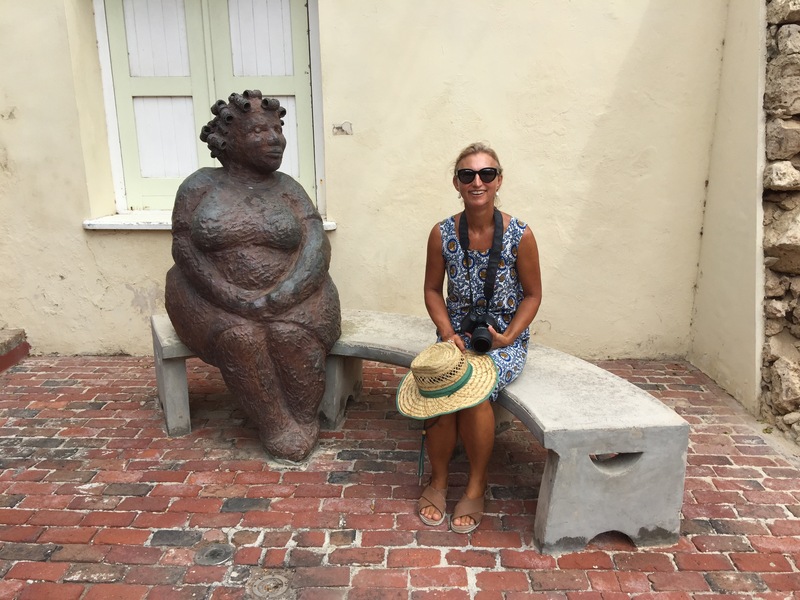 It is an anthropological museum with a nice collection of African art. 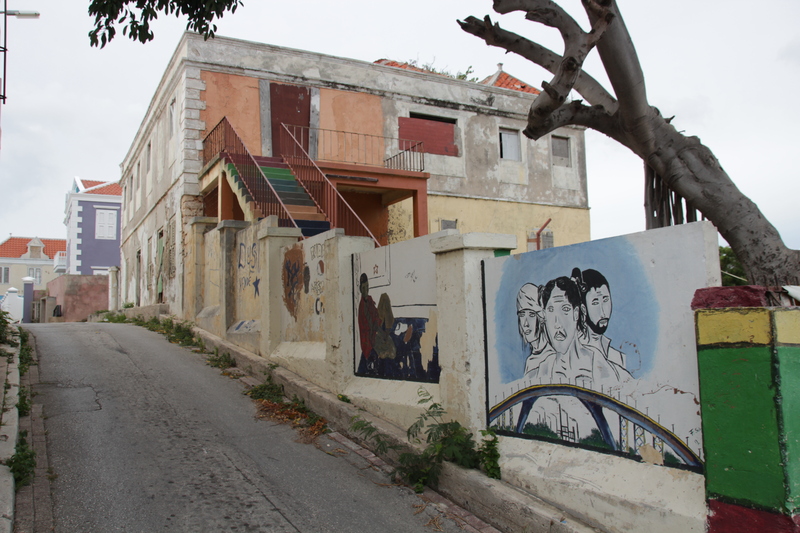 A walk through Otrabanda, lots of colourful houses, some need a bit of work. When the pontoon bridge is open, a ferry will take to the other side. Lots of colours in town ! 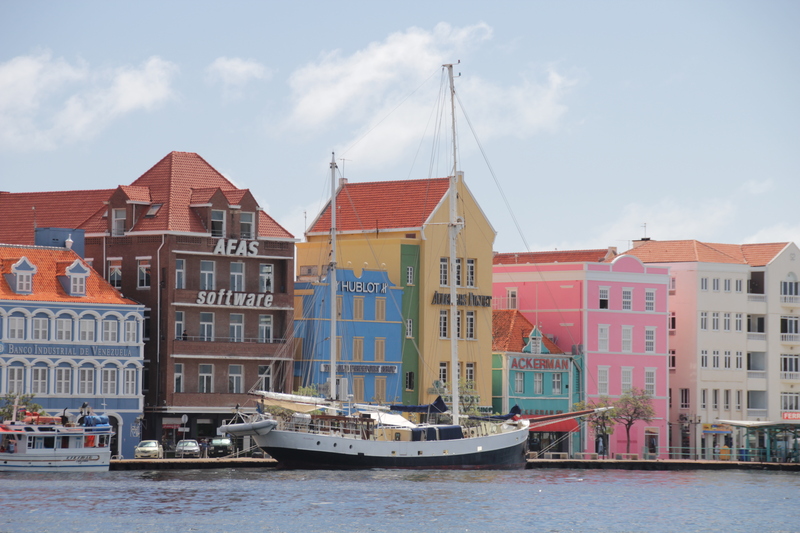 Unesco heritage site of Curacao. 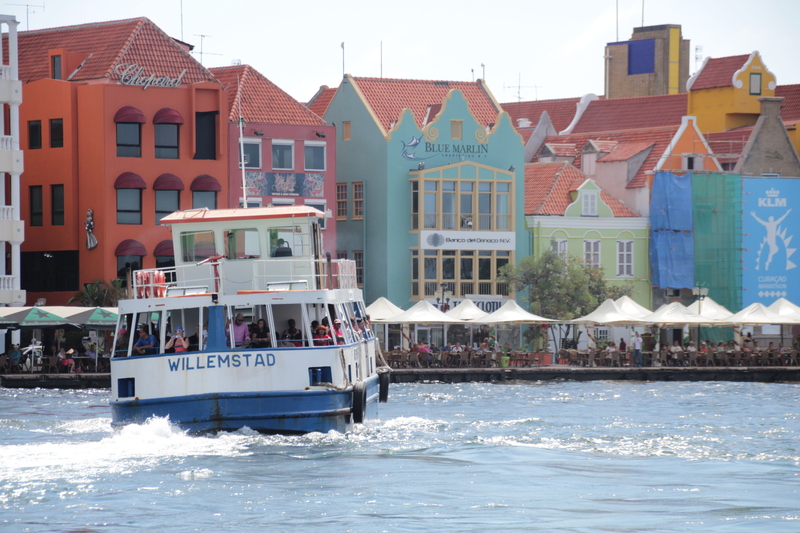 The many faces from Willemstad. Stefan in front of The Netto Bar. 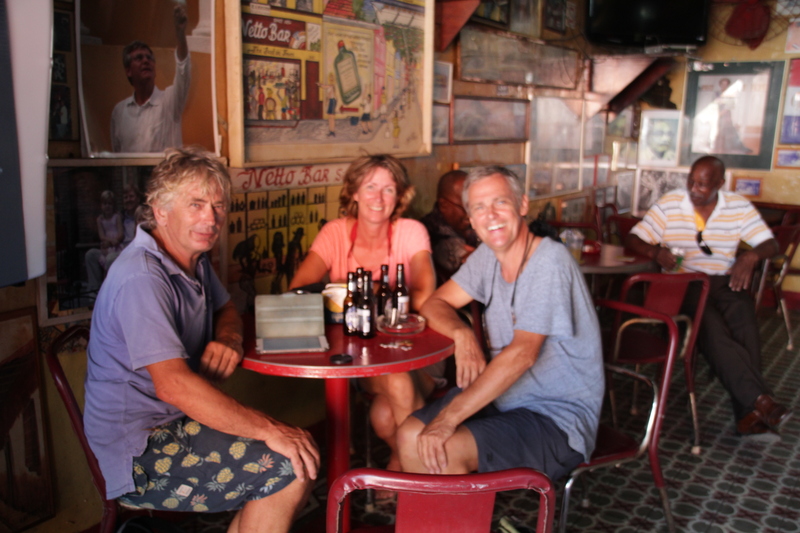 Stefan with Annette and Jacques from the vessel Panache at the Netto Bar. We checked out on the same day. Wednesday, November 25th, a great day of sailing to Aruba although in the end we had to motor to make sure we would be able to anchor in Charles Bay before sunset ! An ugly site but a remote place so we could avoid to check into Aruba ! We stayed only for the night ! As you can see from the pictures not all bays are romantic getaways :-), but we got a good night sleep. Not really a romantic getaway ! Our anchorage in Aruba. 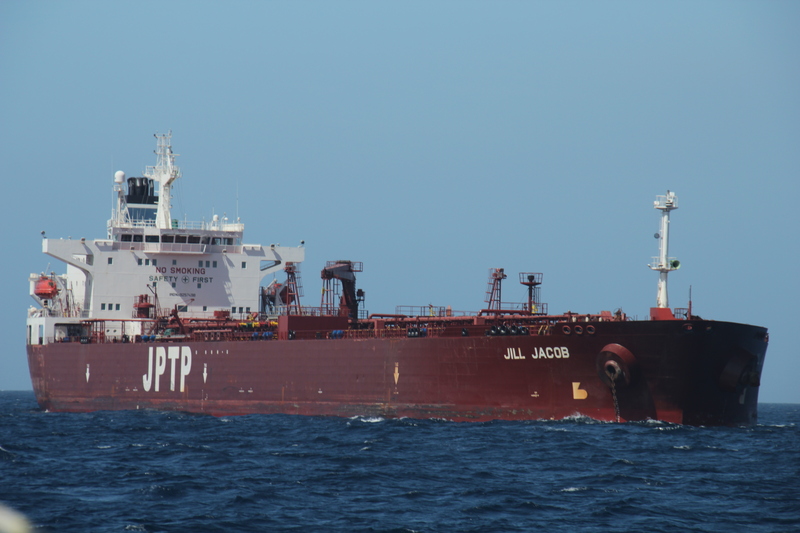 Just outside Aruba many tankers were waiting to go to harbour. They are huge ! 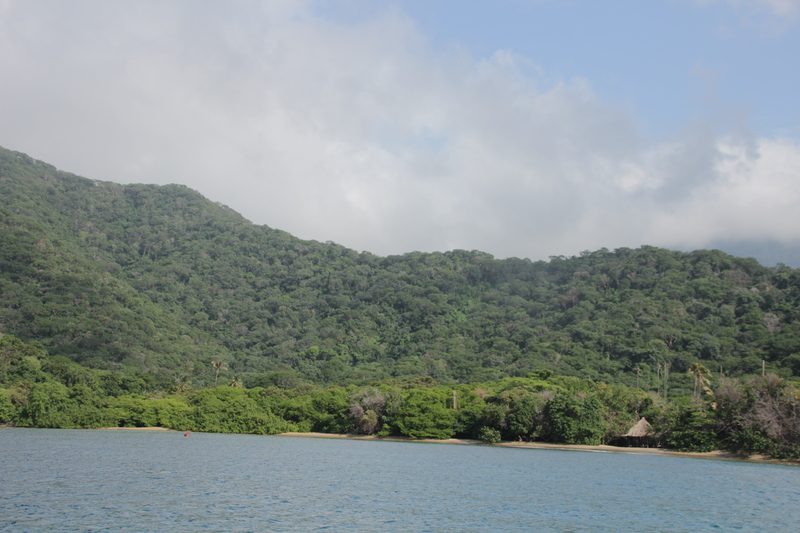 Thursday, November 26th, we left around 9am to sail to Cabo De la Vela in Colombia, about 24hours of sailing. It was really smooth sailing all the way, sometimes not enough wind. Stefan caught a barracuda after several missed attempts. We had caught a mahi-mahi but when Stefan had him up the steps he escaped 🙁 (I was too slow with the net), we also lost a complete lure to an unknown fish…Anyway with the barracuda we had food for 3 nights except that some barracuda are poisened with Ciguaterra toxin. Ciguatera toxin is a heat-stable lipid soluble compound, produced by dinoflagellates and concentrated in fish organs, that can cause nausea, pain, cardiac, and neurological symptoms in humans when ingested. The toxin may be found concentrated in large reef fish, most commonly barracuda, grouper, red snapper, eel, amberjack, sea bass, and Spanish mackerel. These fish live in coral reef waters and accumulate the toxin when they eat smaller reef fish which feed on the dinoflagellates. The area of concern include the Caribbean Sea (where we fished it ) Hawaii, and coastal Central America. As the toxin is not deadly we decided to keep the fish and try…We were lucky 🙂 ! The first piece we had so far (other two are still in the freezer) was delicious and we did not get sick. 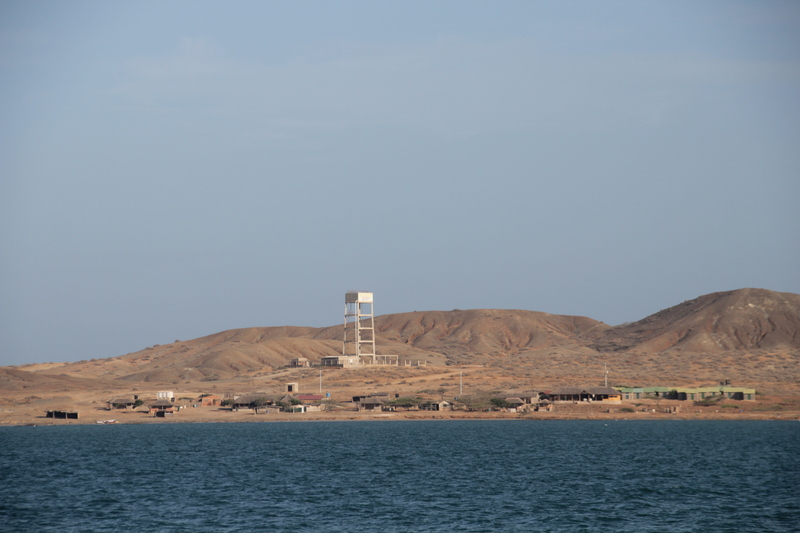 Friday, November 27th, around 8 AM we arrived at Cabo de la Vela, South America ! All the fishermen were out with their nets so we had to be carefull and navigate between the plasic bottles on which the nets were attached. We anchored and enjoyed the view ! It was windy, about 25 KTS and the kite surfers were having fun. We were happy to go to bed :-). At 2 PM we decided to go to shore with flipper, we realised when we were halfway to shore we left the fuel on the boat ! We were able to start and take off with what was left in the motor…we had to row back to the boat ! 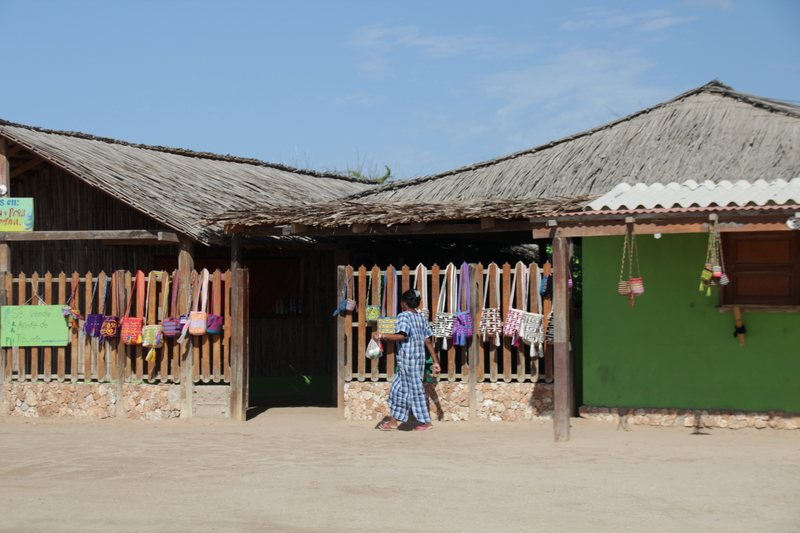 As soon as we arrived with flipper, children from the Wayuu Indians came to greet us. This is definitely a place off the grid ! Only backpackers and kite surfers come here. So laid back, so basic. 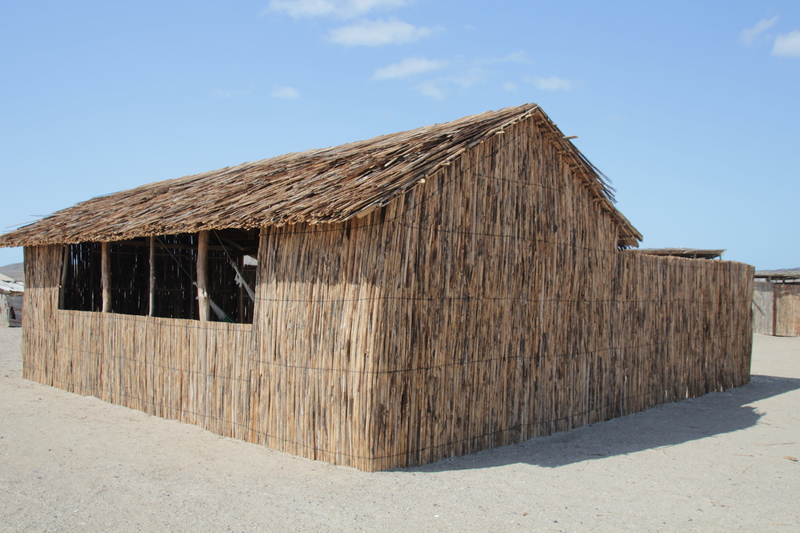 The huts from the Wayuu indians are made from the inside of the dagger cactus. 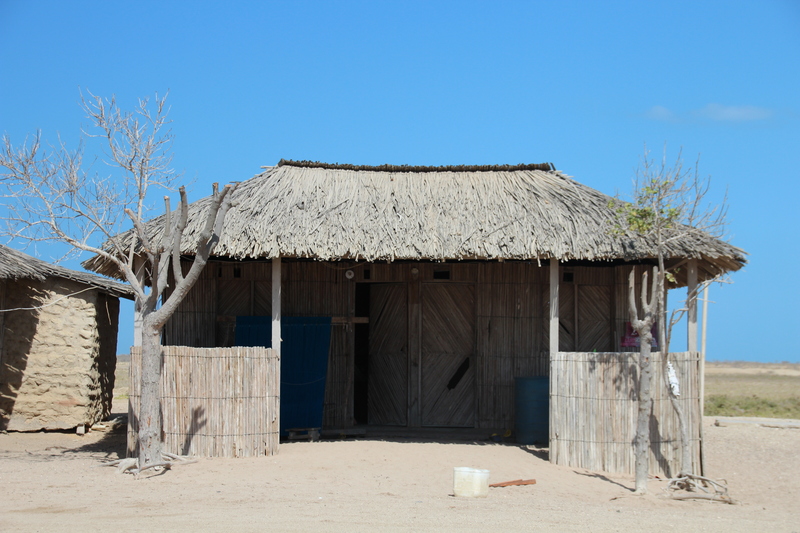 Cabo de la vela where the Wayuu indians live. Hut made from the inside of the dagger cactus. 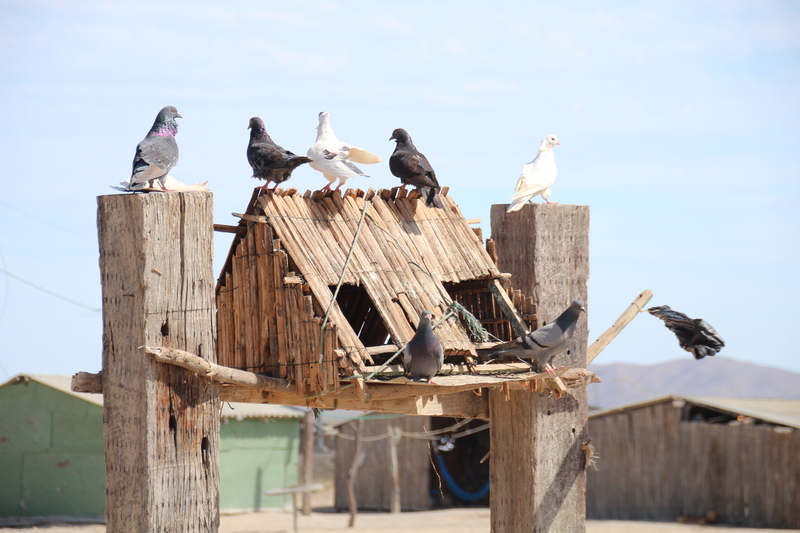 I wonder where these doves come from! 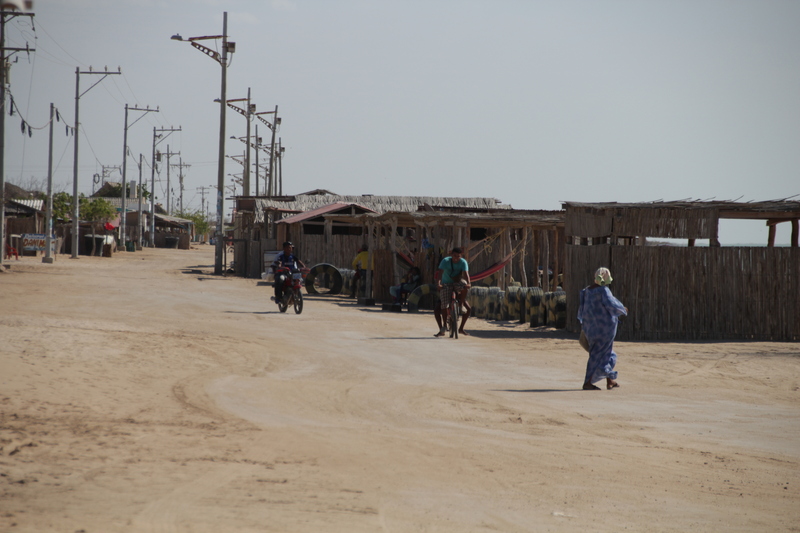 The main road in Cabo de la Vela. 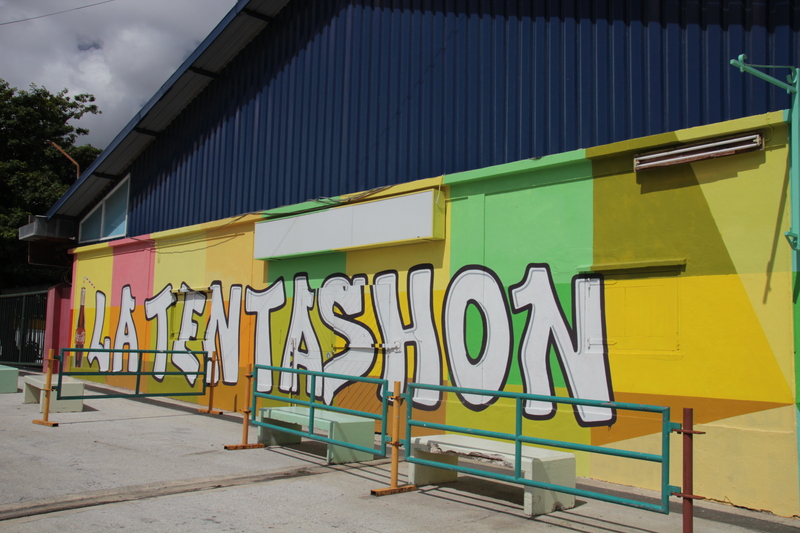 A “tienda” with the “mochillas” they make. Saturday, November 28th, we leave at 9 AM to sail to Bahia de Cinto, the first bay in Tayrona National Park, we calculate about 22 hours of sailing. A nice day of sailing but no sun, just at sundown Stefan spots a dolphin right next to the boat. Soon we have 5 dolphins at the bow of the boat swimming and making turns under the water. What a great sight ! They stay with us for about an hour. The night went by quickly and at dawn I noticed the dark clouds surrounding us. I checked on the radar and indeed there was rain in the air. I woke up Stefan to see if we needed to take back sail for squals to come but we decided to wait it out. We got plenty of water over the boat but the wind only increased to 20 KTS ! Oufff ! It rained for about 2 hours on and off and when we arrived at Bahia de Cinto we saw some blue spots in the sky but it was still foggy. What a beautiful bay ! We anchored close to shore, we were there all alone. We closed up the boat and went to bed as soon as we anchored and the anchor was fixed. Bahia de Cinto in Tayrona National Park, Colombia.